In procurement, we engage suppliers well and are starting to think of them as strategic partners. Of equal if not greater importance are the relationships we manage with internal customers. While most of us understand customer service and have good practices in place, we have not grasped the true significance of Customer Engagement. The Innovators Forum group believes we should enhance our practices in this area. 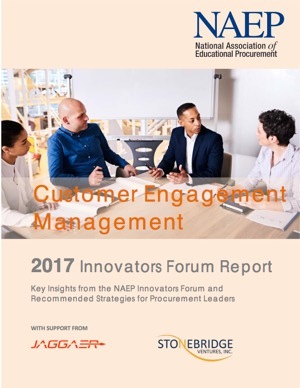 This paper provides an overview of the 2018 Innovators Forum with a distillation of the key discussion points and recommendations regarding customer engagement management. The group engaged in robust dialogue about improving customer relationships, but also focused on pragmatic ideas and practices that can be acted on today. The paper outlines a strategic customer engagement management framework and recommendations for critical practices procurement leaders should follow. NAEP and NACUBO Partner on A Webinar! Does your procurement department function as a strategic resource to the Chief Business Officer? Does your team have the expertise necessary to advance institutional goals by leveraging business partnerships? Does your procurement department do more than say "no", rehearse rules, and push paper through? 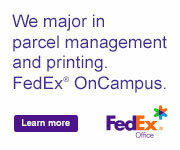 Enhance students’ on-campus experience and satisfy the changing needs of faculty and students with FedEx OnCampus. Simplify your printing, parcel and mail management. Connect to a nationwide print and distribution network. Save space and reduce costs by eliminating equipment, overhead and supply costs. 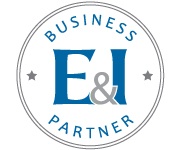 When the University of Missouri System needed a new distribution partner to help maximize the economics of their shared healthcare and university system, support the highest quality patient care, and optimize the student experience, they chose Medline and its competitively solicited contract with E&I Cooperative Services. See how Medline helps UM stay ahead of the curve in the rapidly changing healthcare landscape. Ben Franklin knew the value of lifelong learning. Are you investing long-term in yourself and your career? NAEP can help you develop a career plan. Procurement doesn't have to be all work and no play all the time. Let's take some time to celebrate our campuses and the role procurement plays on them. Grab your camera and maybe even your selfie stick and take a picture of your team in action! 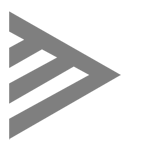 You don't even have to leave your desk for these quick 1-hour complimentary webinars! See how another association has tackled Diversity and Inclusion along with the challenges and opportunities that come with it. Every year, Sustainability Connect, a forum organized by the MIT Office of Sustainability (MITOS), provides an opportunity for MIT community members working on sustainability issues across campus to come together around a cross-cutting theme, celebrate accomplishments, and engage in collective brainstorming.